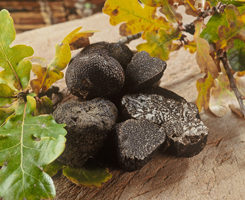 Truffles reproduce through their spores, contained in a little sack known as the ascus. The spores of the black truffle are spiny. 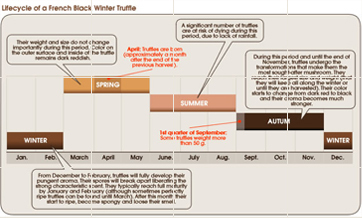 A sure way to identify a true truffle from a fake one is by looking at the spores through a microscope.